Today I am in a mood to share my long lasting fascination with one favourite Italian city. I’ll do my best to offer a different perspective to Bologna, the city you should travel to for chasing and exploring a bunch of culinary peculiarities. The food in Bologna is a cult. Forget about fast food or healthy diets! Heading to Bologna, the tourist is approaching a paradise for gourmands and gourmet. It’s a spot where the local delicacies will tickle your curiosity and provoke you to taste whatever the cafes and the restaurants are able to attract you to. Nowadays most of the blogs tolerate the formula “The best 10 to do things” or “Top 10 to do things” and make those articles work. I find them somehow subjective and sometimes boring. Such type of ratings rarely express the passion and the original viewpoint of the author, by simply ordering a number of stuff. I would like to “forward” my passion to Bologna in this article and won’t just simply name the top 10 things to do or to eat. 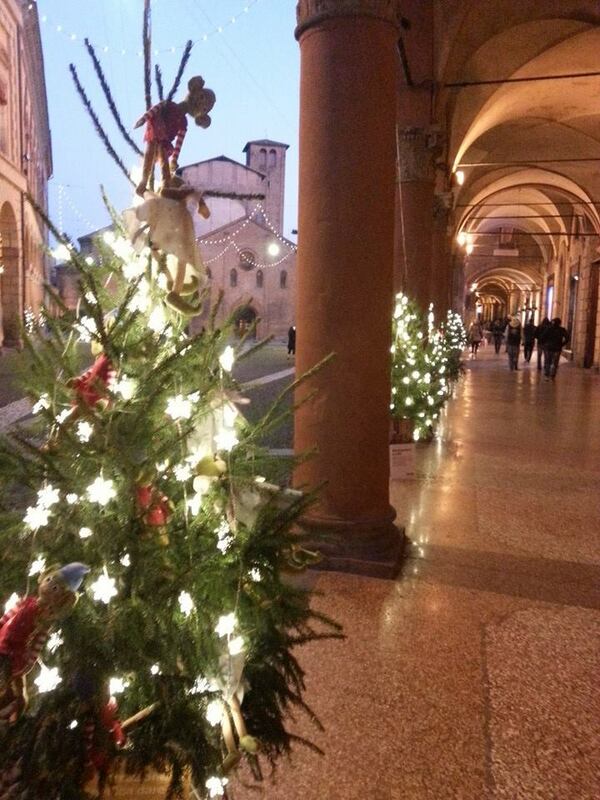 I can’t belittle this particular city by simplicity, because I was really touched by Bologna. It’s charming, colourful, peaceful on the surface, but at the same time bewitching. The vast majority could be surprised I picked Bologna as my favourite spot in Italy. But if you read it further, I’d convince you it’s a special, divergent and salient site. I am sure lots of visitors, while going to Italy, are incline to worship Rome, Florence, Venice or Milan and would probably not even mention the city of Bologna amongst. There is a small chance you have never heard about Bologna. I’ll let you know below how Bologna managed to seduce me and to conquer my heart. My first impression was like being transmitted centuries ago and occurred in an authentic medieval town. I heard others to call Bologna “La Rossa”, which in Italian means “Red”. The reason is the terracotta rooftops, that cover the whole city. 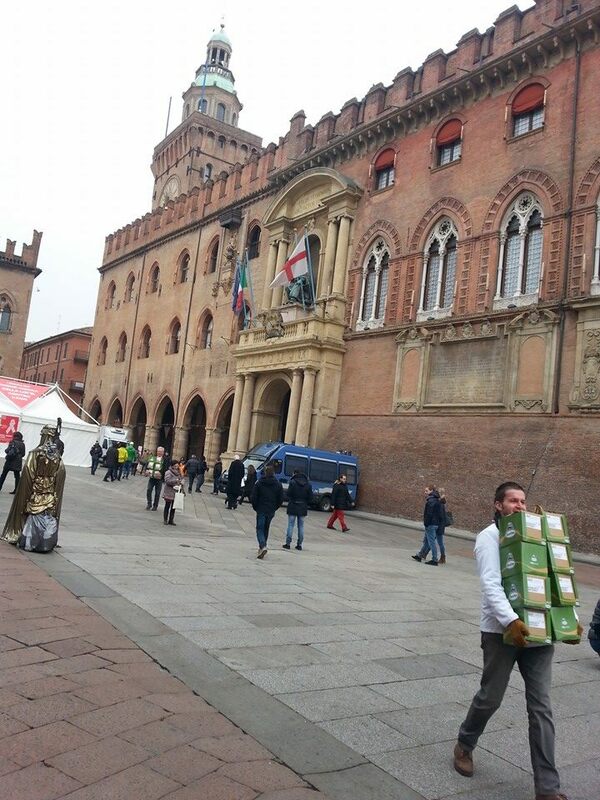 They were placed since the Medieval age and now are something as a trade mark of Bologna. Beautifully located in the region of Emilia-Romagna, this Italian city provides an extremely comfortable getaway to the most popular spots in Italy. Only half an hour by train to Florence, the main and the most beautiful city of Tuscan. Florence is quite hectic, overcrowded and expensive, though, so I would highly recommend to book an accommodation in Bologna and jump on the train to Florence for just 14 euro. You can also get the bus at half price, but the trip Bologna – Florence will take longer – one and a half hours. Same is the distance from Bologna to San Marino. To Venice, Padua or Verona is about an hour by train. Quite close, great for a day visit are Parma, Ferrara and Ravenna. By my opinion, it’s better to choose to stay overnight in Bologna and then travel to the nearby towns. Another benefit – the public transport is cheap and quite well organized. 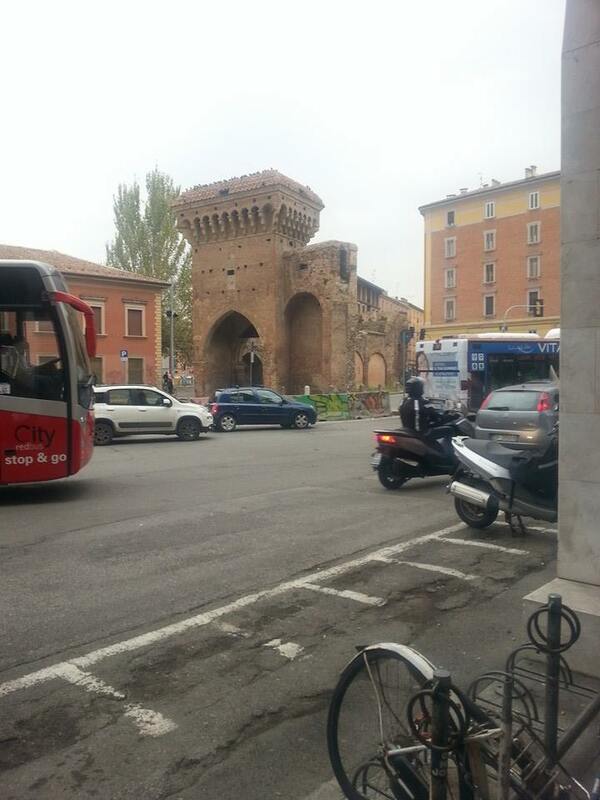 “AeroBus“ will pick you up at the airport of Bologna and will drop you off at the downtown for just 6 euro one way. If the accommodation was booked in the heart of the city, no need of public transport, as Bologna could be easily walked on foot. And here comes one of my favorite features of Bologna – the arcades. In Italian you might hear them called “porticoes” or “portico”. I don’t know another Italian city with such an amazing line of arcades. The whole city is covered by about 45 km of arcades. 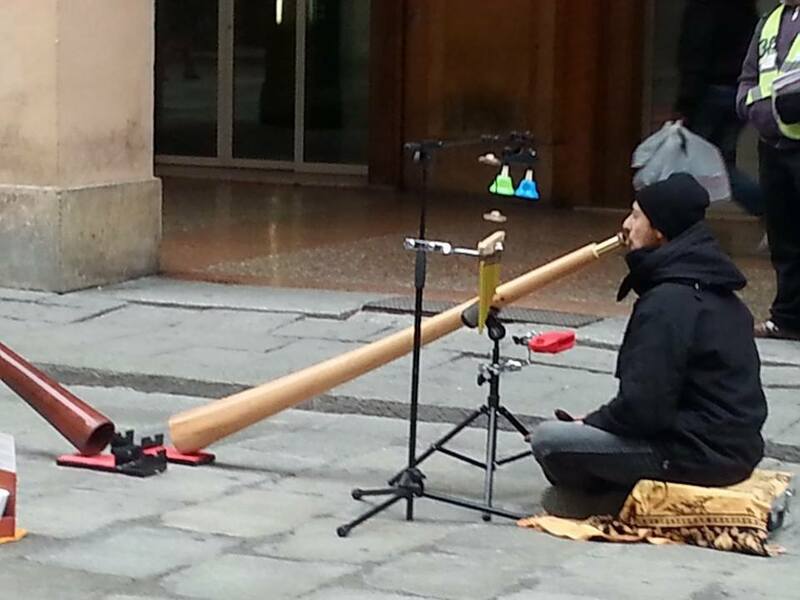 Because of them, no one needs umbrella in Bologna. The archways are so cleverly linked, that no drop of rain could touch you. The construction of the arches began in the 11th century and was meant to provide a comfortable arrival to the students, coming to the oldest European university that still functioning in Bologna. The porticoes were designed high enough to comfort the carriages, delivering students from the University to their nearby homes. Nowadays, the arcades are still in perfect condition and shelter the pedestrians. I was about to mention the Bolognese leaning tower here, the one that competes the tower in Pisa, but I’d postpone it for a while, because there is another more attractive local feature. I gave a hint in the very beginning of this article. If you are on a diet or at a time of making efforts not to gain on weight, than unfortunately you should skip Bologna. This city is famous as “the eating capital’ of Italy. All you can do here, approximately every two hours, is to eat. Bologna is also popular as “La Grassa” (means “fat” in Italian). I was about to “eat my fingers” in here, so many and so delicious are the meals around. I trust you have heard about Spaghetti Bolognese? Bologna is their home as it’s visible from the name. It’s almost a sin not to order Spaghetti Bolognese in a local restaurant. Don’t miss also the local Mortadella. It’s an Italian sausage, made from ground pork and pork fat. I would highly recommend to accompany it by a glass of prosecco. While we are on a meat wave, please do taste the local Salame Rosa (Pink sausage). For those of you who do not eat pork, just easily switch it to pasta. Tortellini or Piadinas will be like a balm for your soul, but will also satisfy your stomach. I personally did not like the local dessert pride –Torta di Riso. It’s a sweet rice cake. I have tasted it just because of my curiosity and for not offending the hosts. It was not “my cup of tea”, but I easily replaced it by another one. 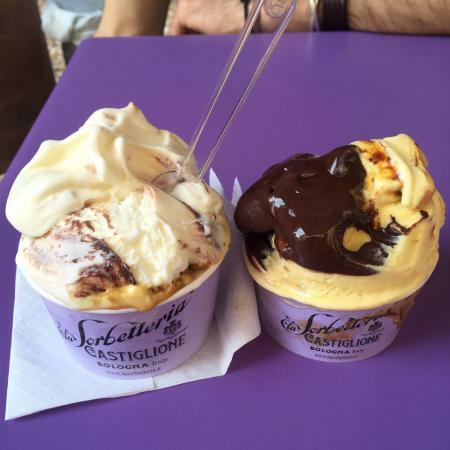 If you dont’t know it – Bologna is also the Italian capital of the ice cream. My very favourite dessert, which I can eat daily, no matter of the season. It’s called Gelato in Italian. Don’t miss the Bolognese Gelato, otherwise it’s going to be a huge mistake. You know the saying: “Going to Rome and not seeing the pope”? Same here. You can’t go to Bologna and not taste the local ice cream. It’s definitely a MUST DO thing. I turned a bit upside down my entire story, reaching to the dessert point, but need to go back and mark a few other exceptional foods in Bologna. 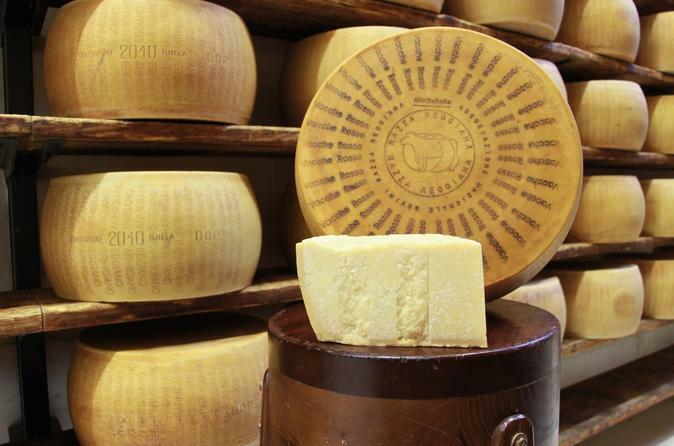 One of them is Parmigiano – the famous cheese, which comes from this particular area. The other not to be skipped food, related to the region, is the Balsamic vinegar. You can see the locals, pouring Balsamic vinegar to every dish, no matter what type it is – meat, vegetables or even dessert. It’s likely to find Balsamic vinegar even on the top of the ice cream. It was not a joke. One of the top bestseller souvenirs from Bologna is exactly a bottle of Balsamic vinegar. I was told the Bolognese Balsamic vinegar passes through a unique technology of manufacturing. The whole process lasts from 7 to 15 years in the barrels. And at the end, let’s get a blink over the entire culinary culture and the art of food preparation in this Italian area. The most professional, but at the same time funny food tours and gastronomy classes are offered right here, in Bologna. So, the main role of gourmet can’t be underestimated. Thats’ why above, I suggested while touring Bologna to forget about any diets. Just go with the flow and enjoy the gourmand transformation. 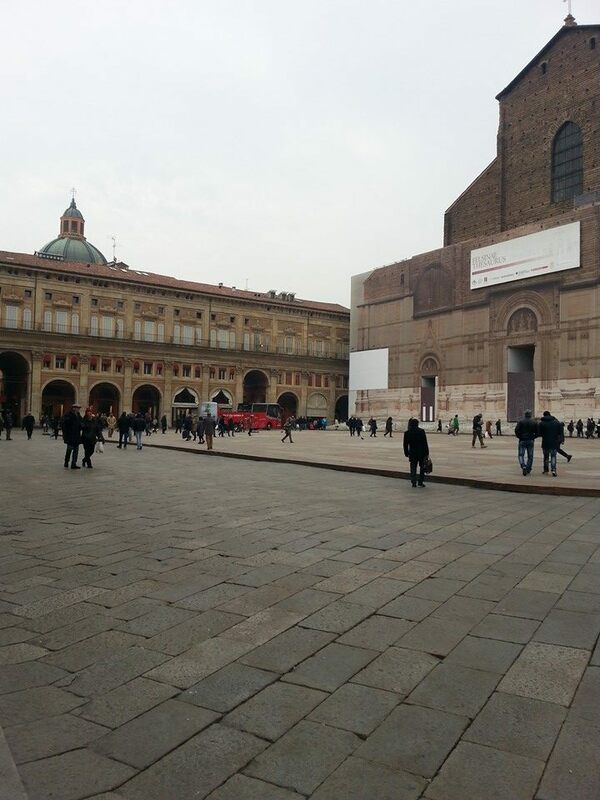 Not sure what’s the proportion of locals/ tourists/students in Bologna. The place is very much a University city, attracting over 80 000 students every year from around the world. The streets both, in summer and in winter, are full of musicians, playing jazz, Bologna’s favorite genre of music (mine too). 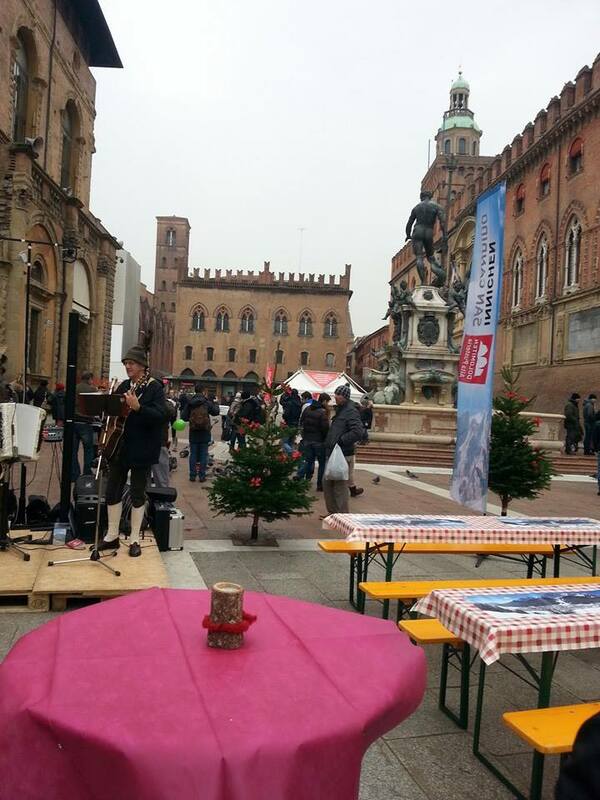 Bologna was announced by UNESCO for being a City of Music. Different, weird or even a bit forgotten musical techniques could be still witnessed here. I heard plenty of rumours, regarding the local residents. If you listen to the Bolognese, they consider themselves free thinking and open minded, more than any other Italian citizens. But the rest of the Italians do not think so, of course. The Bolognese are usually described the biggest scrappers and quarrellers in Italy, ready to always start a scandal for everything. I was told they are able to explode just in a few seconds, raising their voice, “pouring” you with bad words and impressive number of shouts. I promised above to tell about the towers of the city. They are really leaning. 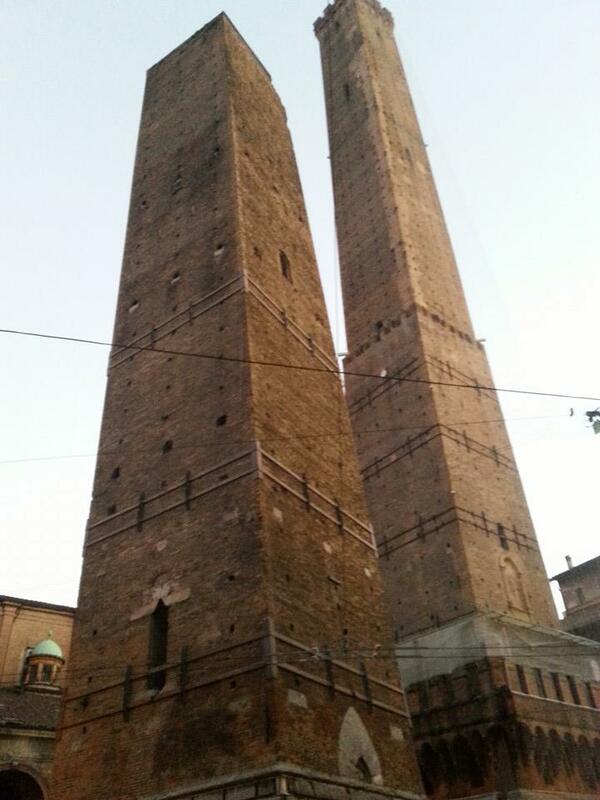 The Asinelli’ Towers are one of the main attractions in Bologna. These towers had military and civil function: they gave prestige to the families that paid for their construction. So, Asinelli was the name of the family, who supported financially the building. The visitors need to climb 498 wooden stairs to reach the top of the tower, that is 97 meter high. The splendid view to Bologna’s red roofs could be enjoyed from the tower’s top. The tour guides tell, when the skies are clear, it’s possible to see the sea and the Alps from the same top. I didn’t see any of them, but was fun to climb the stairs. The view from the tower over the city is stunning indeed. I hope after all those amazing Bolognese wonders, described above, everyone becomes a bit curious and kind of thrilled to experience Bologna. This city is highly impressive and attractive to me, no matter the season. Bologna is among that limited number of cities I would get back to, without ever getting bored. And at the final, don’t forget it – Bologna is the perfect location you should travel to eat, eat and…eat.